Indulge your passion for the finer things in life. Handpainted Handpainted Quimper Faience Pottery from Henriot Quimper, Italian Majolica Ceramics & Pottery Imported From Italy, Fine Italian Alabaster Eggs & Fruit, Lady Clare English Placemats & Coasters, Beautiful Provencal Pottery By Souleo Provence Pottery, Handcrafted Malicorne Pottery from France, Saladini Knives By Coltellinai Saladini Scarperia, Italy and Luxury Collectible Teddy Bears by Steiff Germany and Merrythought England. Indulge your passion for the finer things in life. Merchant of Prato presents imports from Italy, France, England, Germany and beyond. 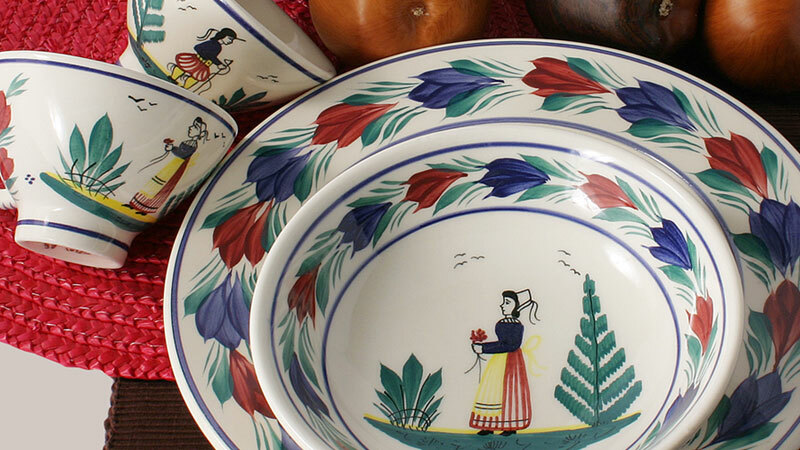 Exquisite handpainted Henriot Quimper Faience pottery from Brittany, France. 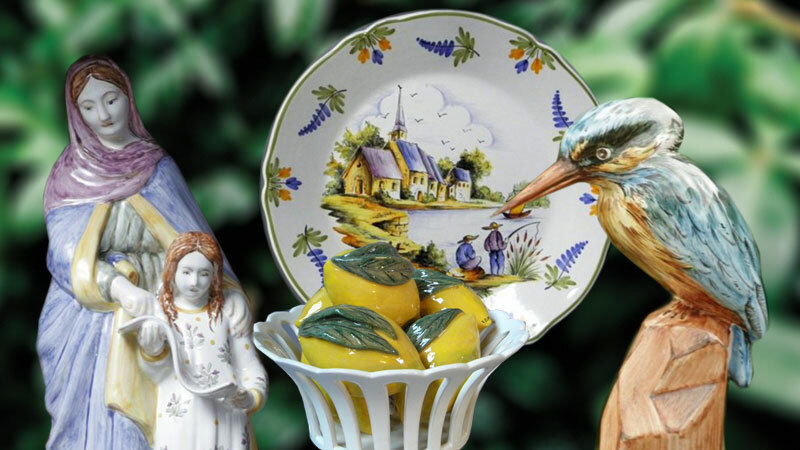 Beautiful handmade Italian majolica ceramics and pottery from Deruta, Umbria and Castelli, Italy. Hand carved alabaster stone fruit and alabaster stone eggs from Volterra in the hills of Tuscany in Italy. Traditional Fine English Lady Clare Placemats, Coasters & Waste Paper Bins. Provencal Pottery from Souleo Provence Pottery - Terre E Provence, Provence, France. Top of the line fine Italian kitchen cutlery and collectible knives from Coltellinai Saladini in Scarperia, Italy. Exquisite hand-crafted pottery by Faïencerie d’Art de Malicorne. And, luxury, collectible jointed Teddy Bears from Steiff Germany and Merrythought Teddy Bears UK. 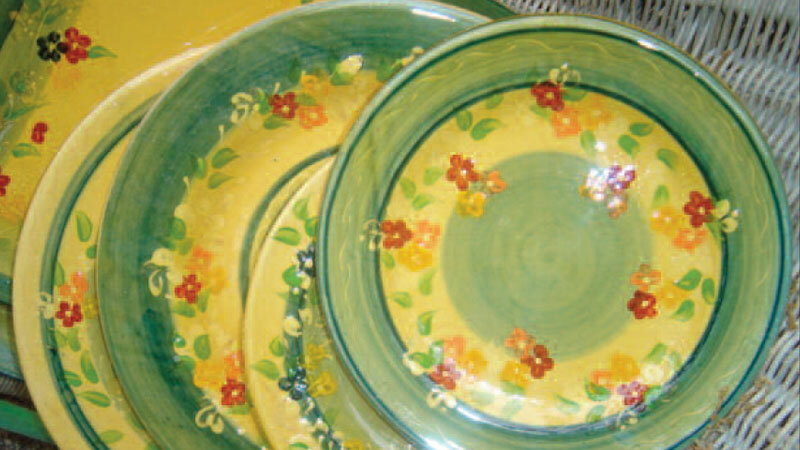 Our Italian ceramics and pottery collection is imported from Deruta, Umbria and Sicily, Italy. The Italian ceramics we import are Majolica. Many of the designs we feature date back hundreds of years and many patterns are derived from Renaissance art. 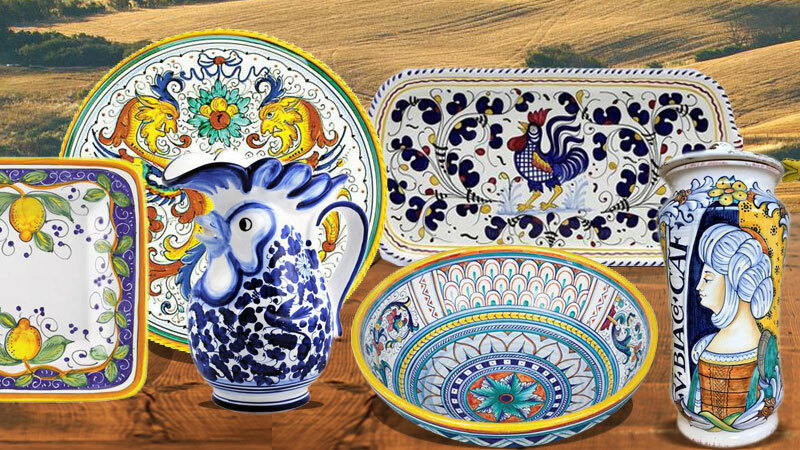 Each piece of Italian pottery is handmade and painstakingly hand-painted, thus each piece of our Italian pottery is unique. We have direct connections with artists in Volterra, Italy who create amazing, realistic Alabaster Stone Fruit and Alabaster Eggs. 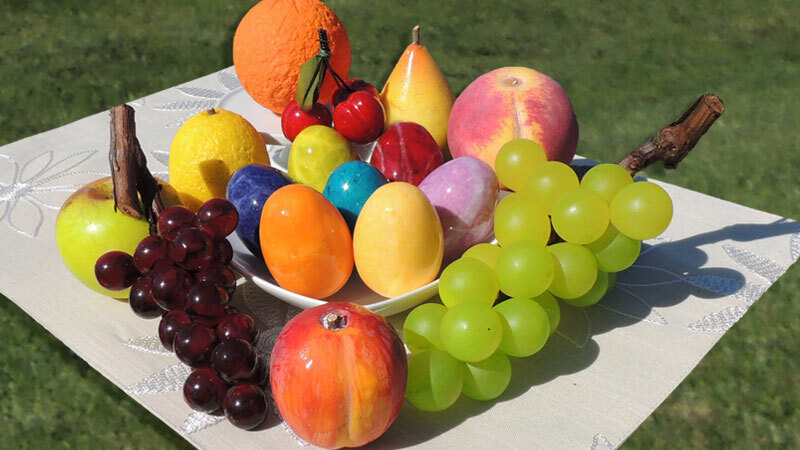 Each piece of fruit is hand decorated making each piece a unique work of art. The Lady Clare Collection of fine English lacquered table placemats, coasters, fine tea trays and waste paper bins. Lady Clare has been supplying hand crafted English placemats and home accessories since 1932. 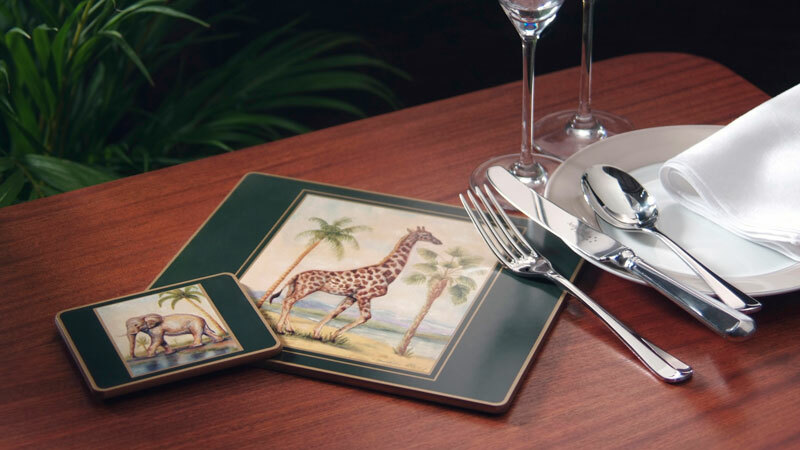 Our range now includes placemats for formal and casual dining as well as accessories such as waste bins and trays. With over 80 years’ experience, Lady Clare is synonymous with design, quality and service. Made in Great Britain. Souleo Provence Pottery, formerly known as Terre E Provence Pottery, is the quintessential handmade French artisan Provencal ceramic tableware. If it is possible to capture the sun-drenched harmony of Provence in a single handmade object, Souleo Provence Pottery earthenware would be it. 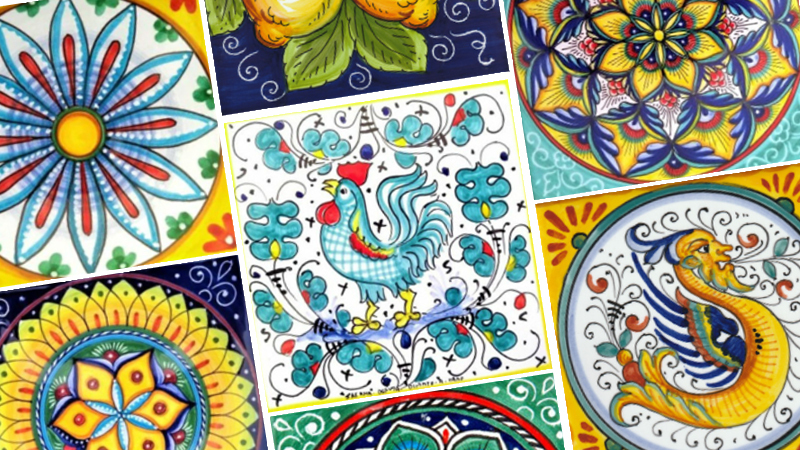 Produced at a small workshop in Aix-en-Provence, France, Souleo Provence Pottery is glazed and then each piece hand-painted with the vibrant colors found in the South of France. Microwavable, oven and dishwasher safe. Made in Aix-en-Provence, France. Since the Middle Ages, the Tuscan town of Scarperia has been a famed center of knives and cutlery production. 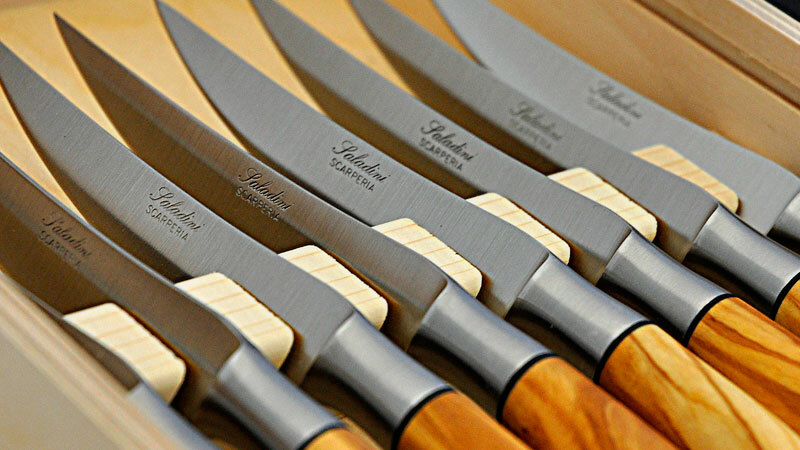 Coltelleria Saladini is one of the only businesses in Scarperia, Italy still producing knives. Based on historical patterns and materials, the Saladini collection of kitchen cutlery and fine collectible knives is immediately distinguished by a stylistic renewal of form with a particular attention to detail. Malicorne Pottery, (Faïencerie d'Art de Malicorne) A few hours away from Quimper, France lies the village of Malicorne-sur-Sarthe, home to Faïencerie d'Art de Malicorne, and famed Malicorne Pottery. Pottery has been made in the region by master artisans since 1747. Malicorne pottery is characterized by its openwork ceramic molds and decorative decor which carries on the traditions of antique decorations of Rouen and Nevers. Biffy & Bo Teddy Bear Shoppe, luxury teddy bears for the teddy bear lover. Steiff is famous for their hand-made German Teddy Bears with The Steiff Button In The Ear. Steiff Teddy Bears are handmade and crafted with jointed parts and silky mohair coverings. In fact, Steiff was the inventor of the Teddy Bear in 1902. Steiff is the world’s premier manufacturer of high-end collectible Teddy Bears. Indeed, Steiff is the only “luxury” toy brand in the marketplace today. Internationally renowned for its exceptional quality, Steiff still utilizes traditional materials and proven manufacturing techniques to create its unique and highly prized products. Merrythought has handmade traditional teddy bears in the World Heritage Site of Ironbridge, Shropshire, UK since 1930. Merrythought is a family business famous for crafting the finest, jointed, mohair teddy bears adored by children and adults across the world. Every one of our bears is lovingly made by hand in our factory in the heart of England, giving them a unique character and superior quality that can last a lifetime. 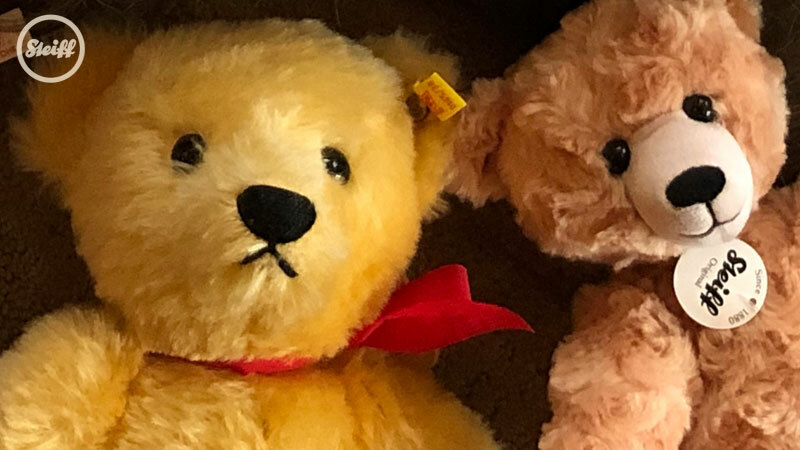 Our range includes Traditional and Limited Edition teddy bears as well as our iconic Cheeky and Punkie bears – every one of our bears is a unique Merrythought design, artistically brought to life using over 85 years of skills.